With the Internet being all pervasive and worldwide, it pays to check out where your images may show up and in what context they have been used. The web makes it very easy for someone to grab and save an image for an unauthorized form of use. And now with Google Image, Google’s image collecting search engine, an image can be grabbed without having to visit the original URL where it resides. By initiating image checks, many illustrators are finding examples of their work having been appropriated without their consent or knowledge. And although many instances occur in editorial environments some uses occur for commercial purposes. Image plagiarism can come from more than one direction. Firstly, we illustrators can be victims of it by having our work stolen and/or used to create derivative illustrations. Secondly, we can unknowingly fall victim to it through the adaptation of a previously seen image that stuck in our memory that we have resurrected, subconsciously, to solve an illustration problem. Although this does occur on rare occasions it is much less likely to convey our relationship with plagiarism. Lastly, images can be checked against pictorial reference sources to determine if there is a possible copyright violation. Although it doesn’t happen often, an image check can reveal identity results in all three areas. 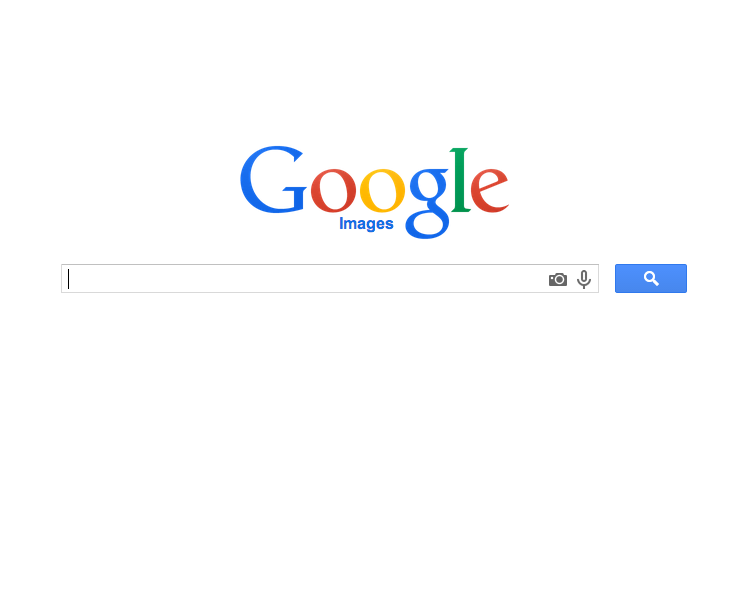 There are two ways to search for images on Google. 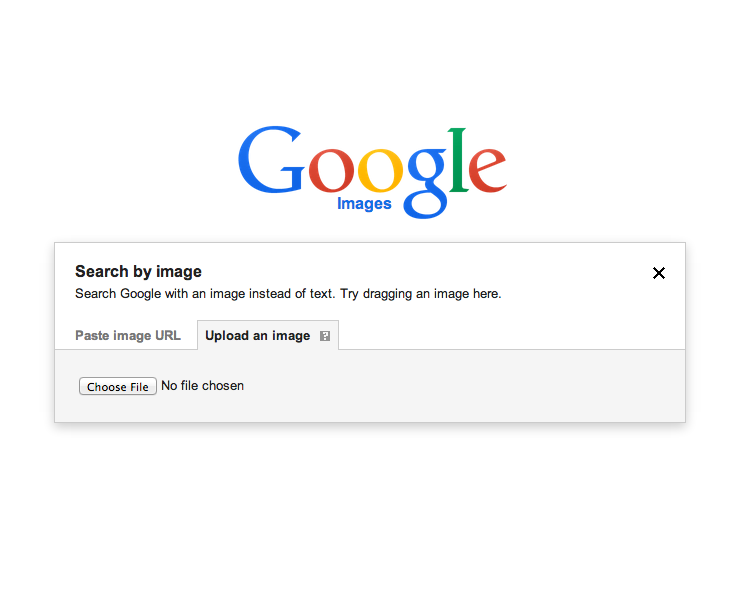 You can upload an image file to Google Images and you can also use Google Search to enter the file name of an image file. image file name on Google Search or any of other search engine can yield a positive result. 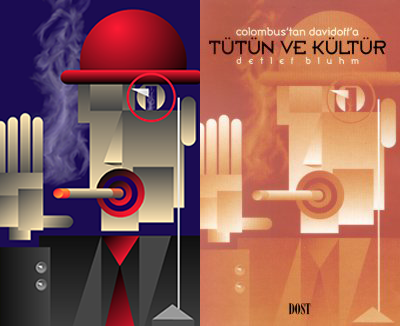 as a book cover (on the right). 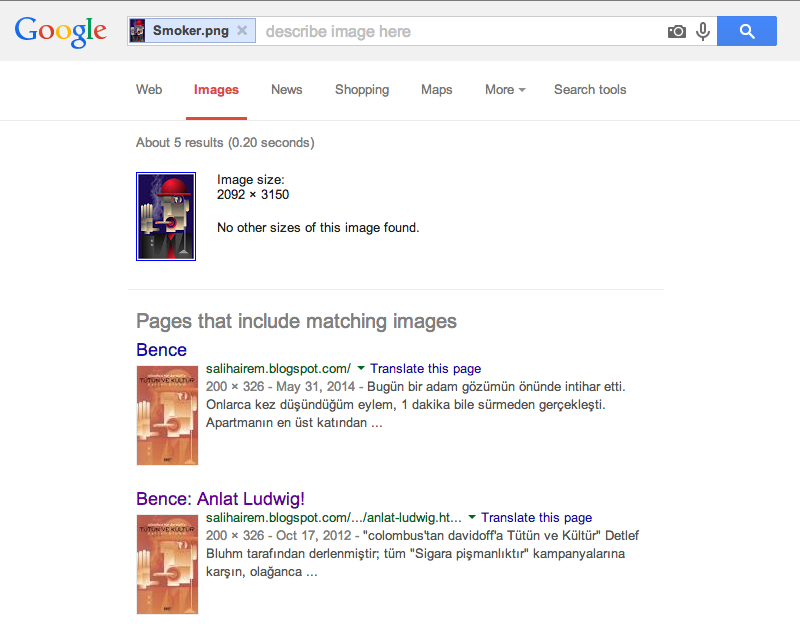 Google Images can not only search for images by name, but it can search for an image by using an uploaded image file. The image search engine uses pattern and color recognition software to attempt to match those attributes that exist in the image. At this point in time, as seen in the example below, the recognition software lacks sophistication, but Google is working to improve it. Follow these steps to search by image file. Go to https://www.google.com/imghp and click on the camera icon. this feature can be helpful in finding derivative images. 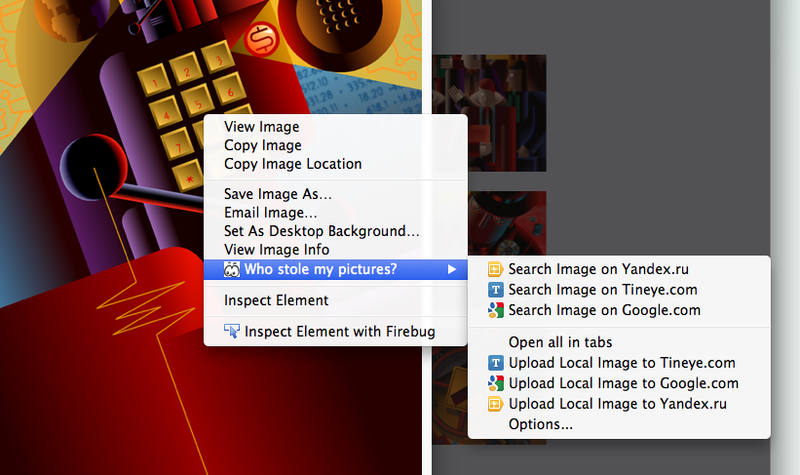 Who Stole My Pictures (WSMP) is a Firefox add-on that makes three image search engines available though the Firefox browser. WSMP differs from Google Image in that you must download an add-on to the Firefox browser to search for a URL address image, or to upload an image file for a search. Any image that has a URL address can be searched. The extension must be installed in the Firefox browser and is contained in a sub-menu that becomes available with “Who Stole My Pictures” as an option when you right-click, or control-click, on an online image. 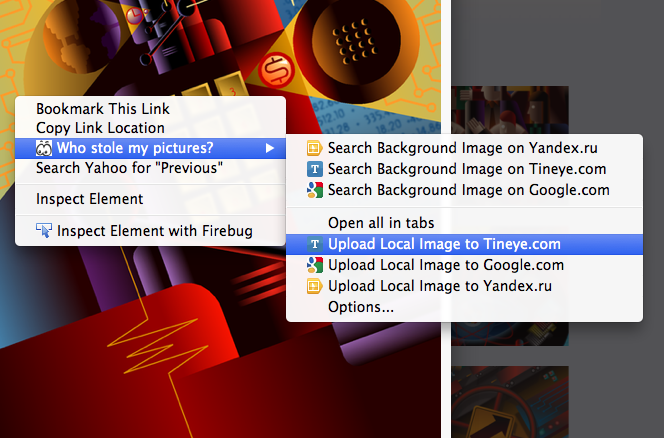 You can then choose between Yandex.ru, TinEye.com, or Google.com to perform the image search. You can also upload an image from your computer. Follow these steps to search. Open the Firefox browser and go to the URL containing an image file. Then right-click (option-click) on an image. A flyout menu will appear. the option to choose an available search engine. TinEye is one of three options available. BacTrack is the Safari add-on that makes multiple image search engines available though the Safari browser. Like WSMP, you must download an add-on in the browser to search for a URL address image or to upload an image file for a search. Any image that has a URL address can be searched. The extension is contained in a sub-menu that becomes available. 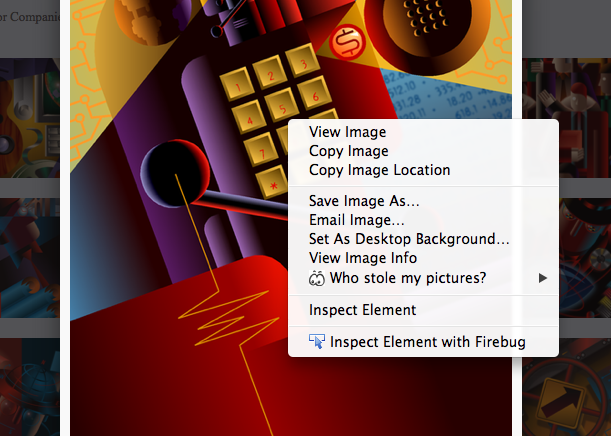 The BackTrack option appears when you right-click, or control-click, on an online image. You can then choose between Tineye.com, Bing.com, or Google.com to perform the image search. You can also upload an image from your computer. Since it is so similar to WSMP, there was no need to show the step by step here. 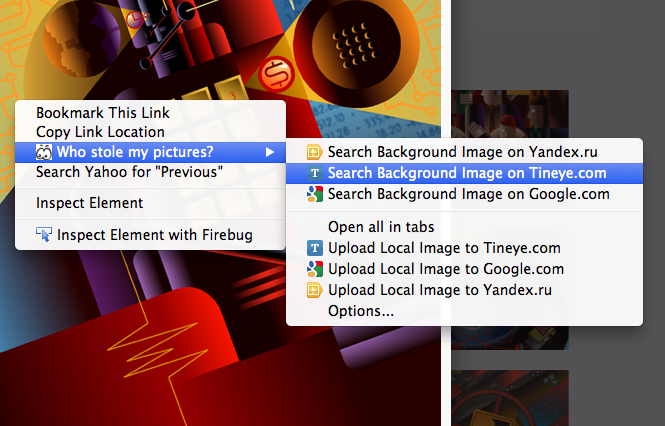 Yandex is another browser based image search service that originates in Russia. Although entirely in Cyrillic text, Yandex uses universal icons to make it easier to figure out, and there is also an English version available through a link. The largest search engine in Russia, and similar to Google Search, Yandex offers searching by filename, URL address, and image upload. An search engine specifically for image searching, Picsearch will yield better search results than some other big search engines. The product of a Swedish company, the Picsearch Image Search Engine features special filters that you can use to search a subject specific image type, like searching by animation or by faces, etc. It uses four kinds of filters; type, size, color and orientation; and Picsearch contains a database of over 3 billion images. The Exalead Search Engine can be customized through several filter options to search for faces, change a background to black or white, or for prefixed size desktop wallpapers. It will search by color, B&W, or by image size. You can click on options to view direct image links with no frames, or click the image to browse the images and their source sites in frames. Exalead was developed by Dessault Systemes, a France-based company. 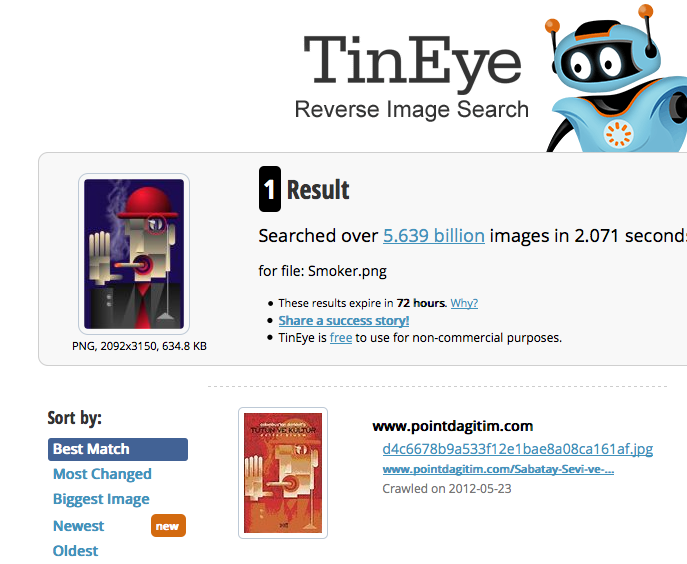 TinEye is a reverse image search engine that can search out the origin of an image, the image use, modified versions of an image, and other resolutions of an image. It is free to use for non-commercial searching. TinEye uses image identification technology rather than keywords, metadata or watermarks to locate an image and other derivative images. TinEye crawls the web for new images, and we also accept contributions of online image collections. To date, TinEye has indexed 5,554,463,739 images from the web. Another way to use TinEye is to install it as a browser plug-in for Google Chrome. Although non-commercial searching is free, TinEye has other commercial image search products including MatchEngine, MulticolorEngine, MobileEngine, and PixID available as subscription services for corporate clients.